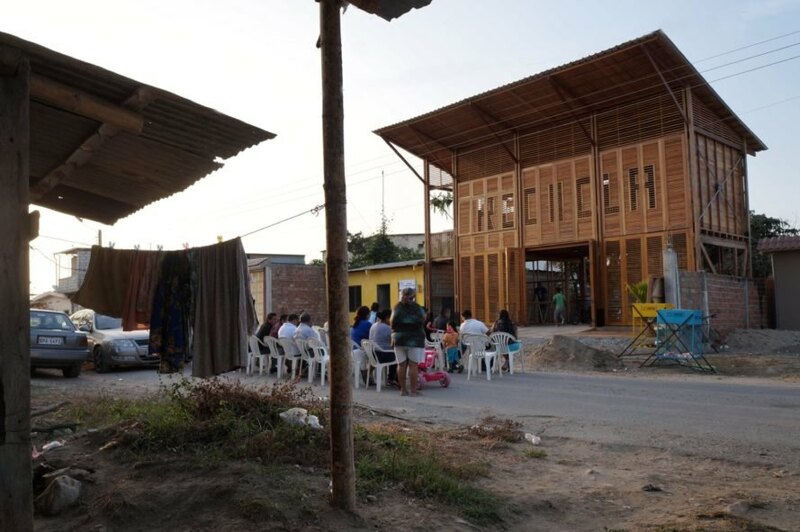 Ecuadorian architecture firm Natura Futura Arquitectura has teamed up with Frontera Sur Arquitectura to develop an inspiring example of social architecture in the town of Huaquillas, Ecuador. 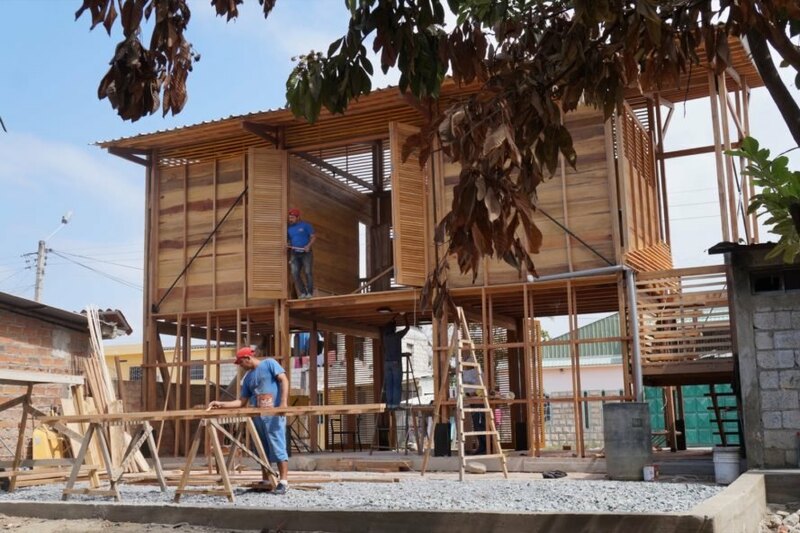 Dubbed La Comuna, the project is a double-story timber structure that not only provides a local family a place to live but also a safer work environment for them to continue their recycling business. 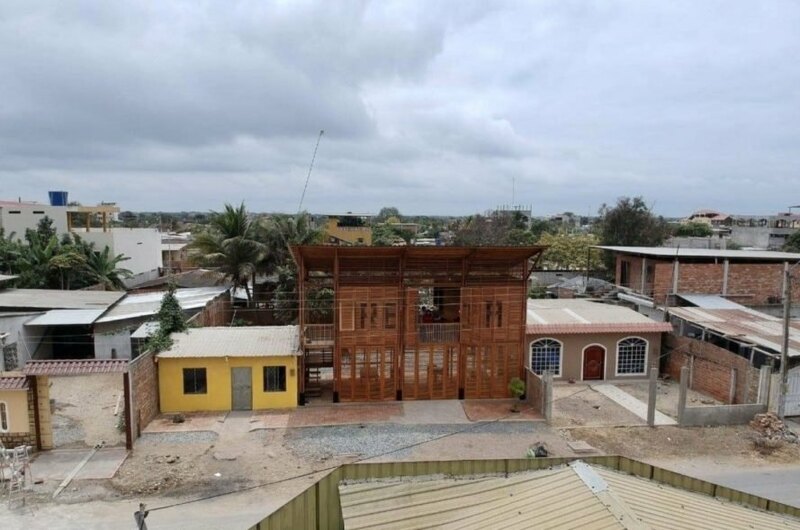 The building was constructed with six easily replicable modules that take inspiration from the local vernacular with its “chazas”, or latticed screens. 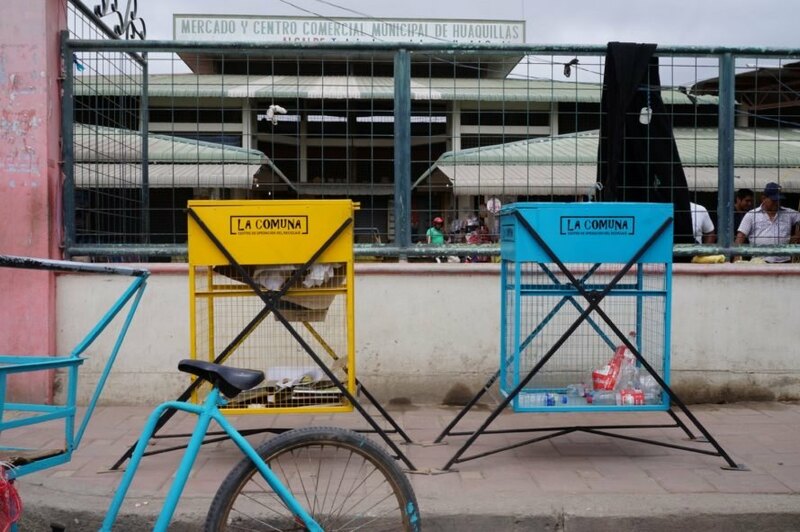 Commissioned by a foundation and private company, the architects were asked to create a live-work building that would also be held up as an inspirational landmark for the city, which suffers from a reputation of poor sanitation. 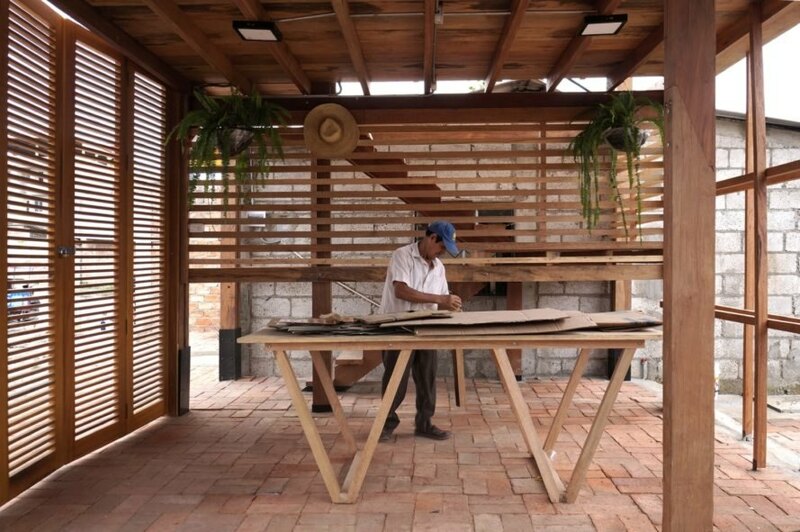 To that end, the design studios created a two-story building with a community-facing ground floor that houses the recycling workspaces, while the upper level houses the private living spaces. The structural system is based on a 3-meter-by-4-meter module, with each floor made up of three modules. In contrast to the open workspace in the ground floor, the living quarters on the upper level are screened off for privacy. 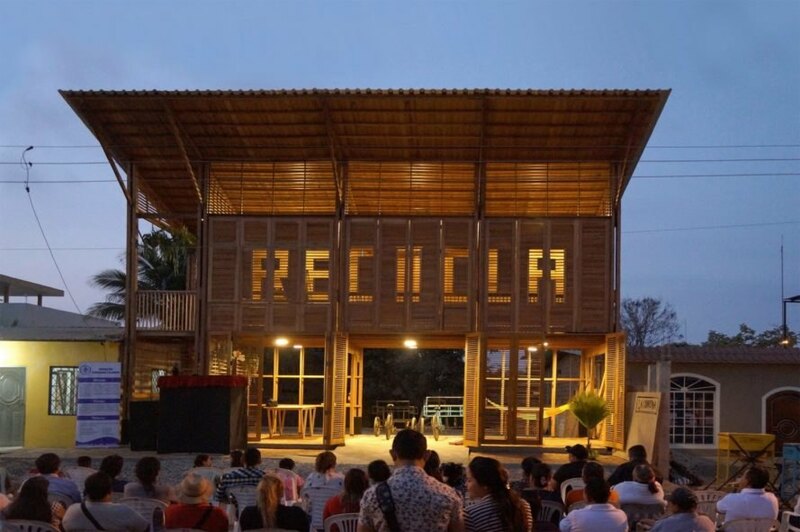 The operable timber latticed screens were also designed to spell out the word “RECICLA” (recycle) when closed. 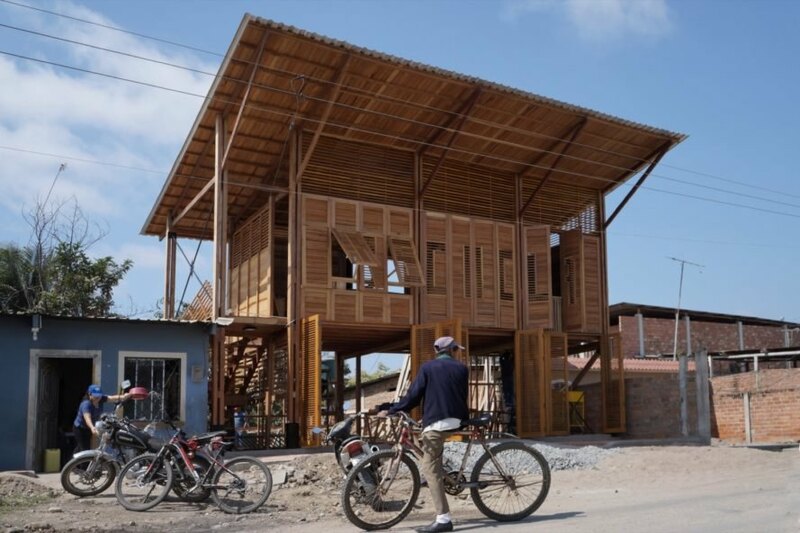 Inside, the home is engineered for flexibility with walls set on wheels and movable furniture that give the family freedom to reconfigure their living quarters as they please.